Age Group Time slots will be released in April. Did you play in the winter academy in 2018/19 and are looking to reserve your spot for the summer? Cost for the Winter Academy is $425 plus a one time USYF Insurance fee of $13.5 payable to USYF. The First round of tryouts for the Summer Academy will be announced shortly! June 16th - Team Meetings - 3 PM - 6 PM - Each team will have a team meeting time with the coach and all the players on the roster. This event is mandatory. Team meetings will only be a half hour long and will be scheduled sometime between 3 and 6 PM. 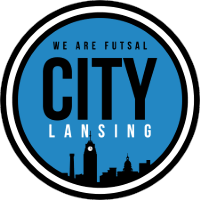 The Lansing City Futsal Youth Academy runs in the Summer and in the Winter. The Youth Academy is made up of youth futsal teams that train weekly together at the Lansing City Futsal training facility and compete in showcases, leagues, and regional/national tournaments in the United States.